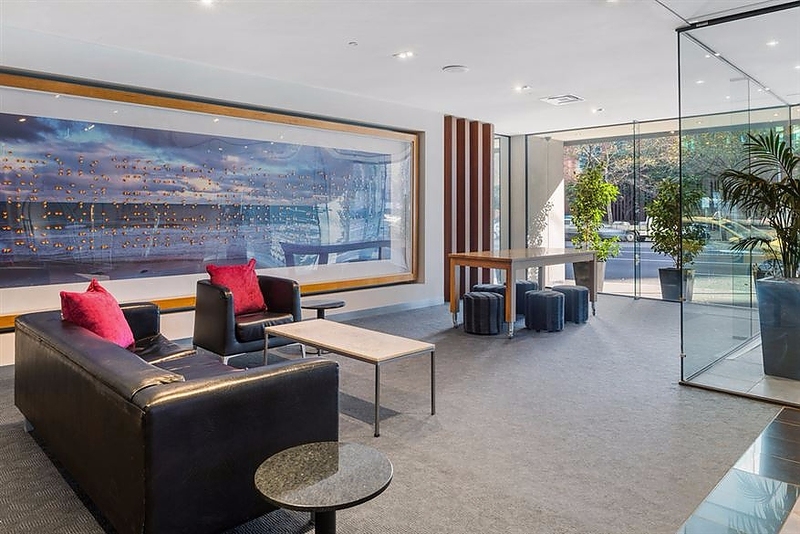 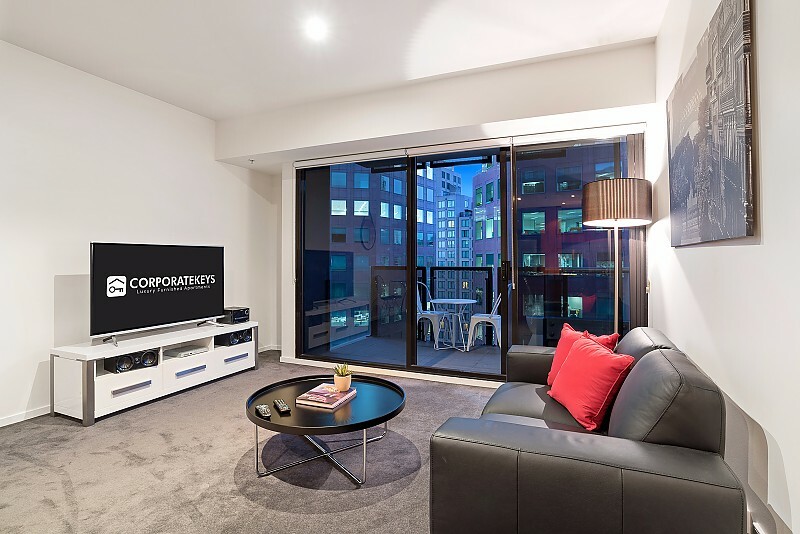 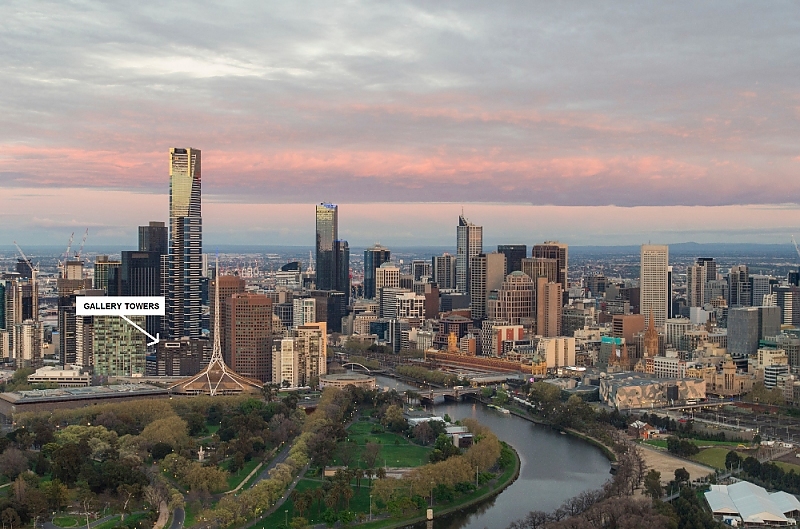 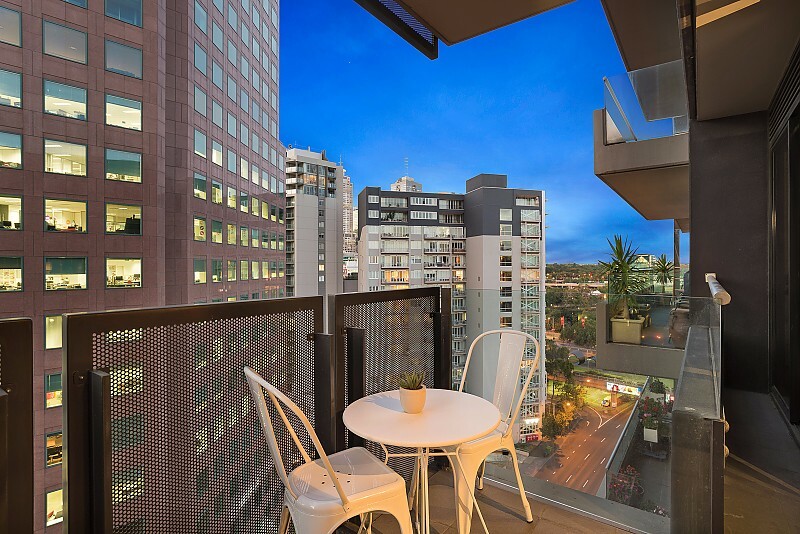 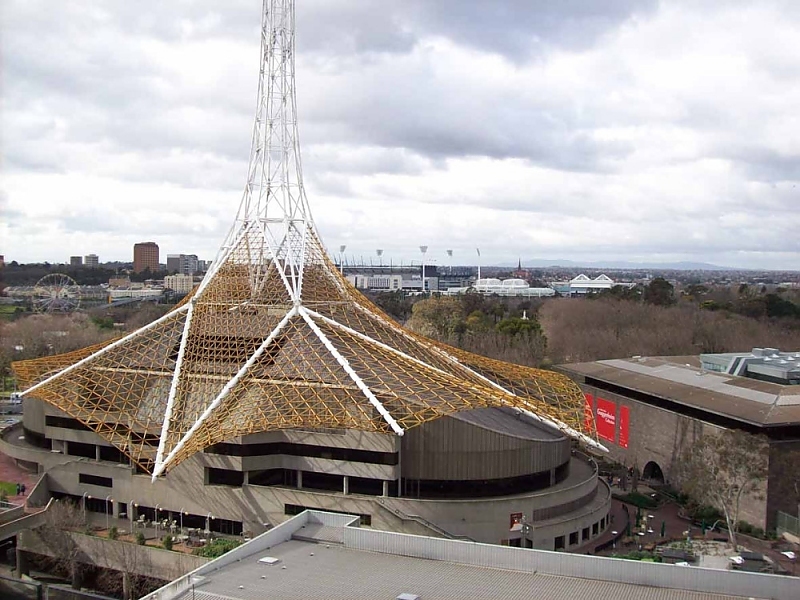 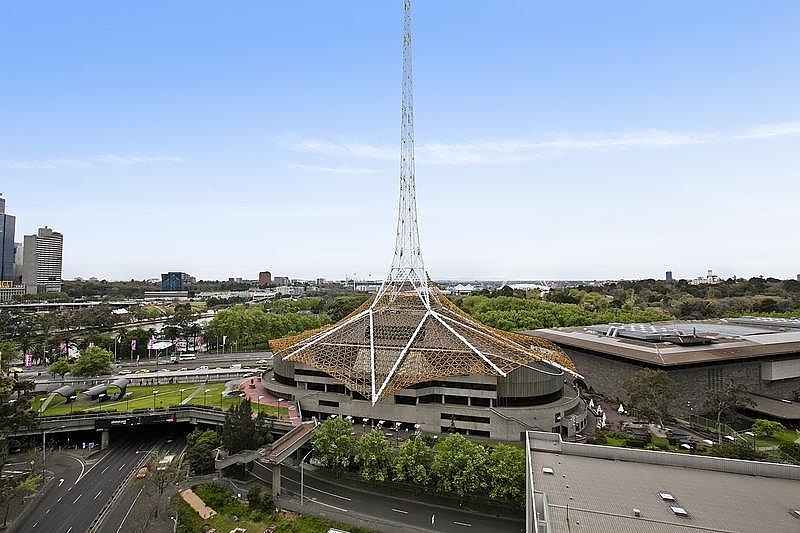 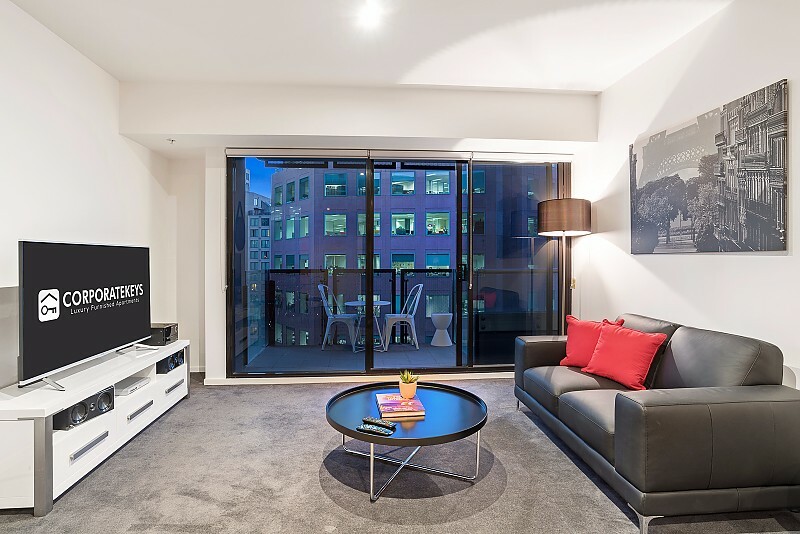 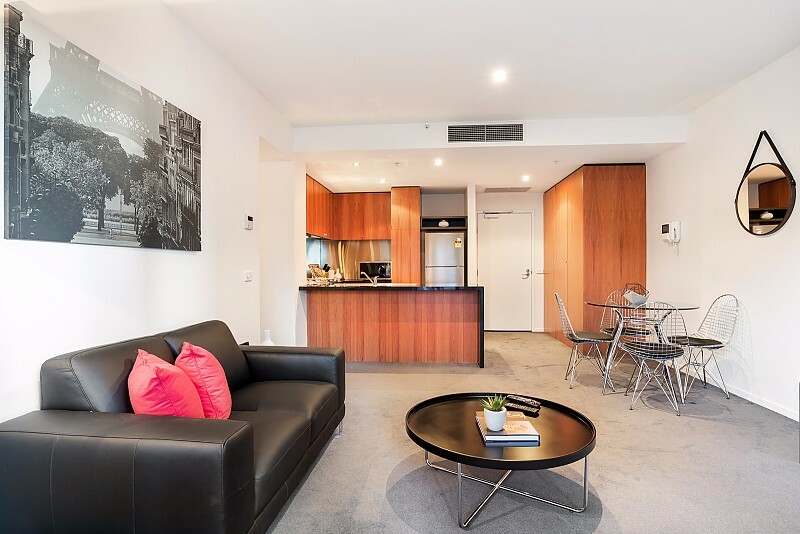 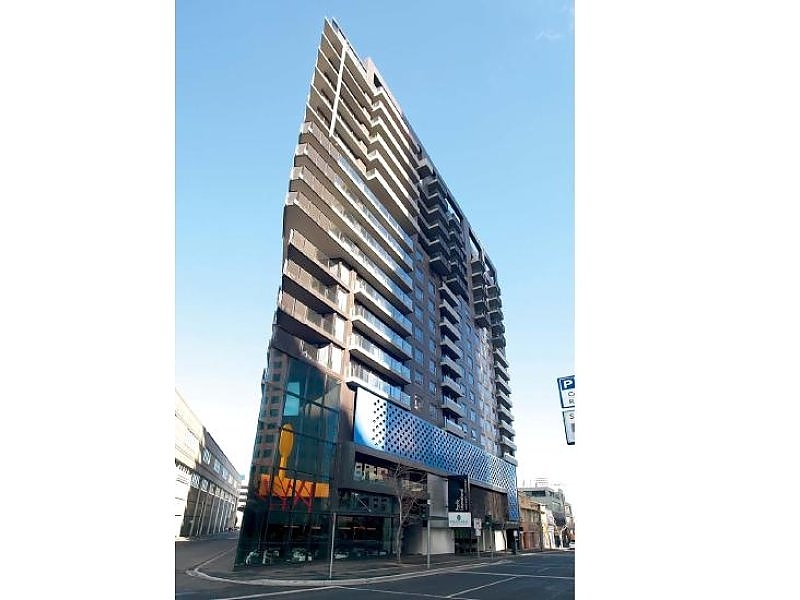 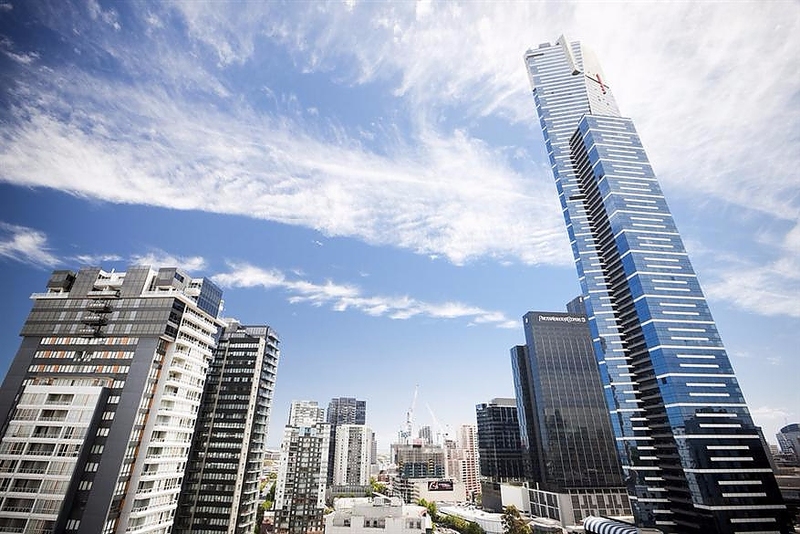 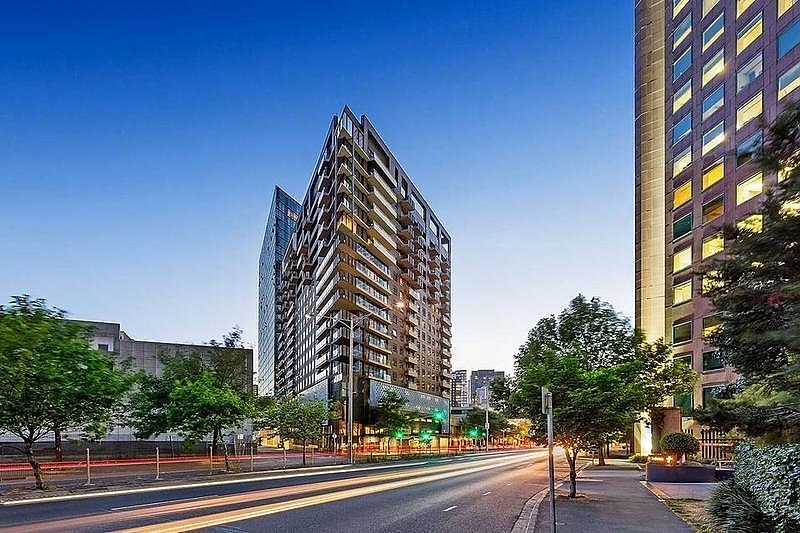 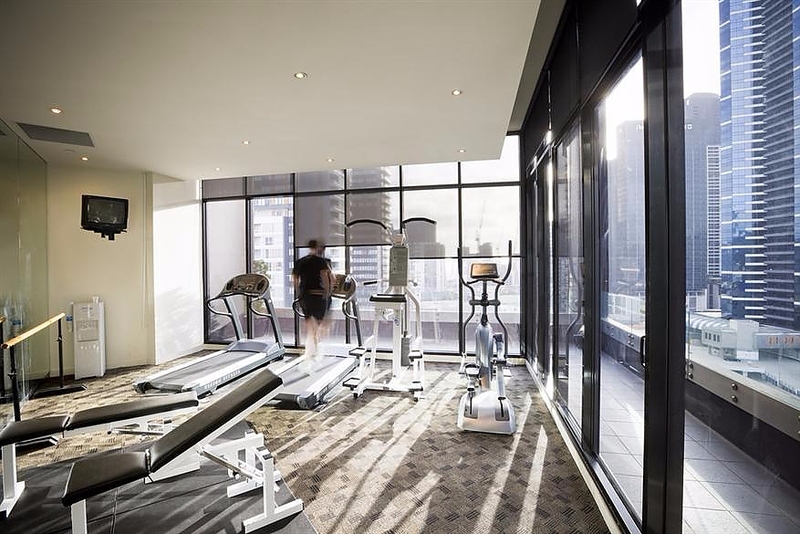 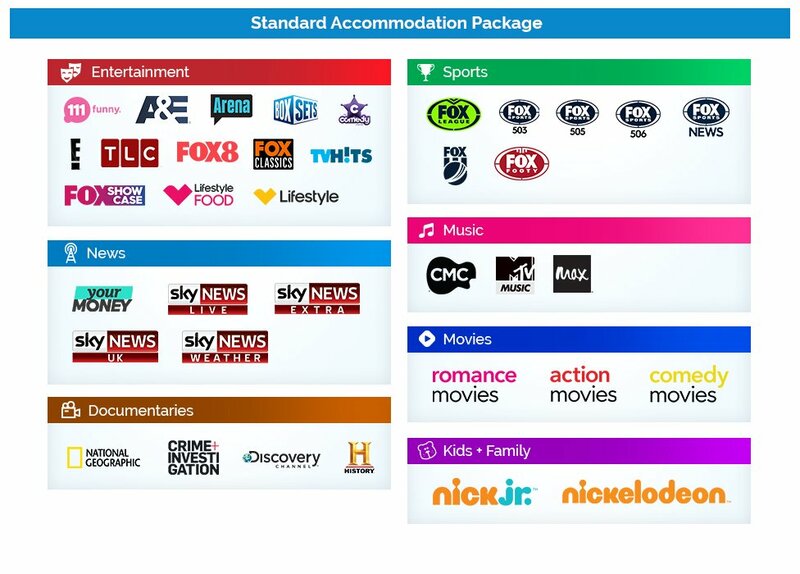 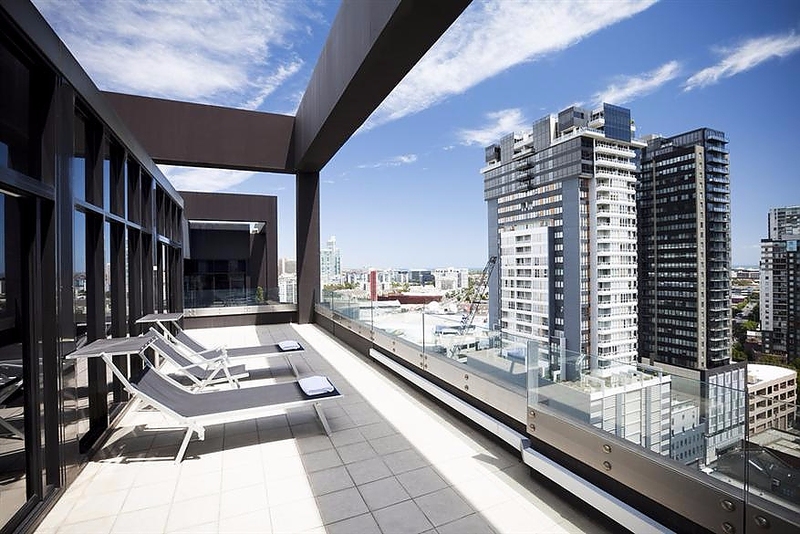 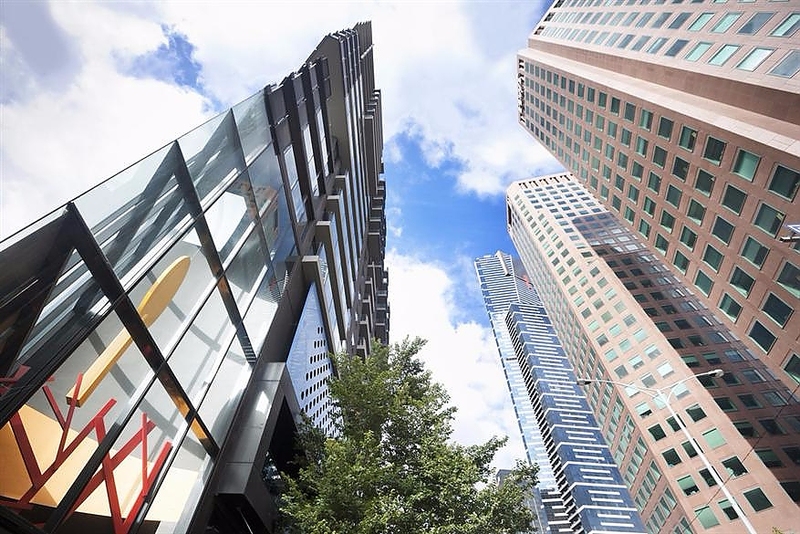 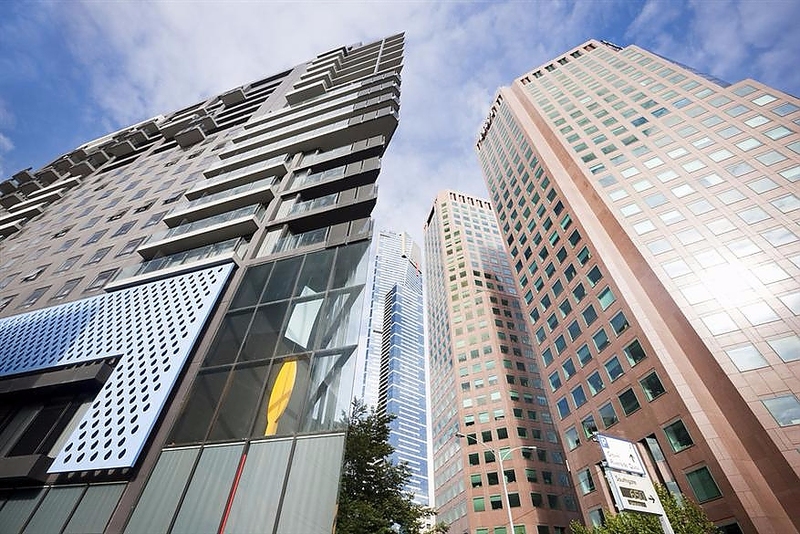 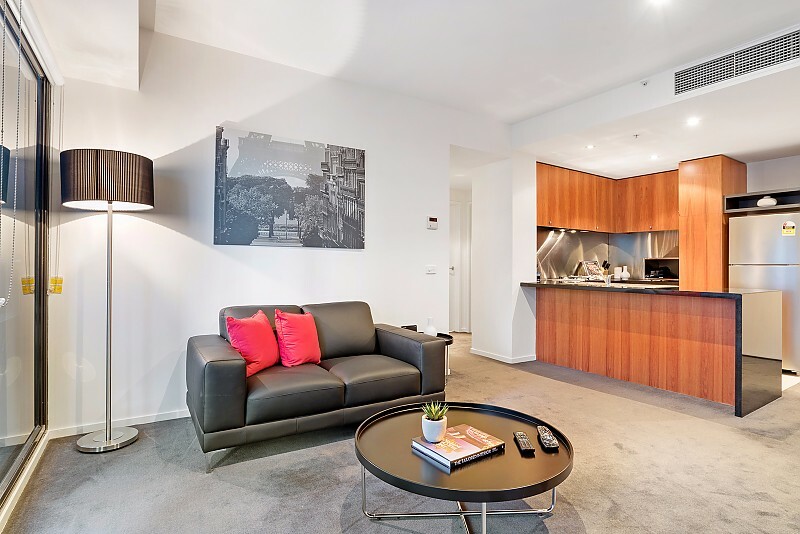 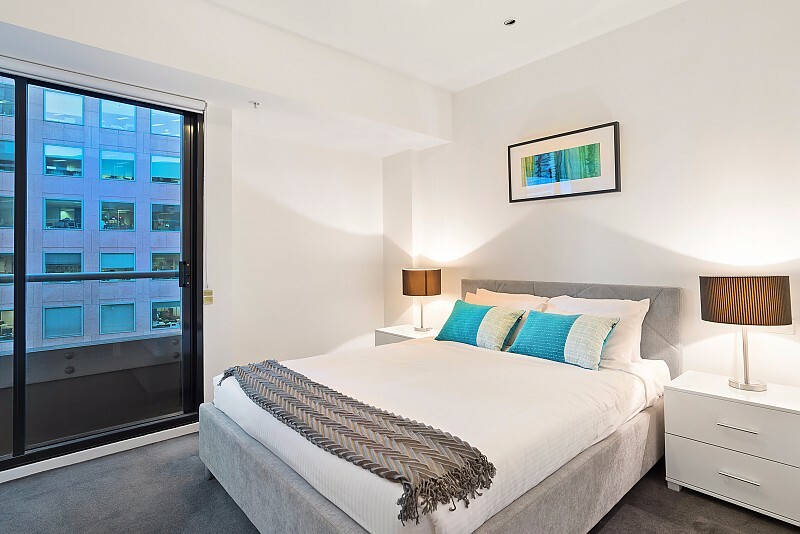 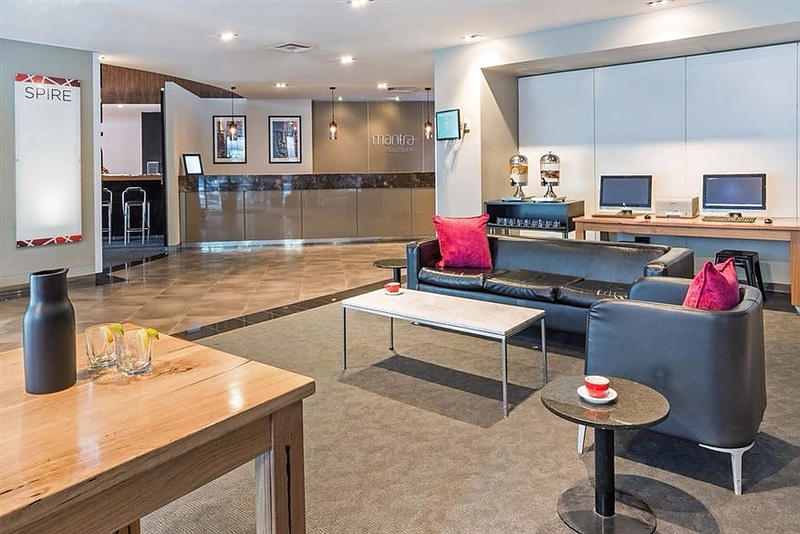 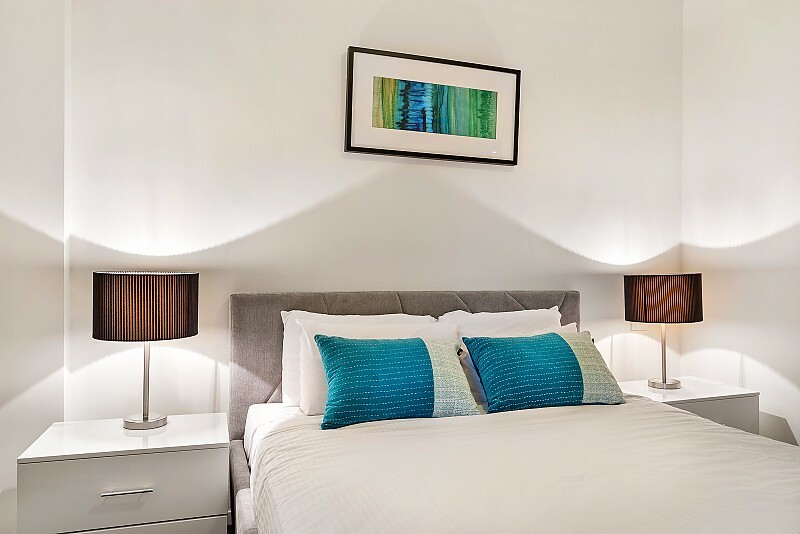 This executive one-bedroom apartment with video intercom access is set in a modern security complex centrally located on City Road within easy reach of Southbank entertainment precinct, Melbourne Art Centre, the Botanical Gardens and Melbourne CBD. 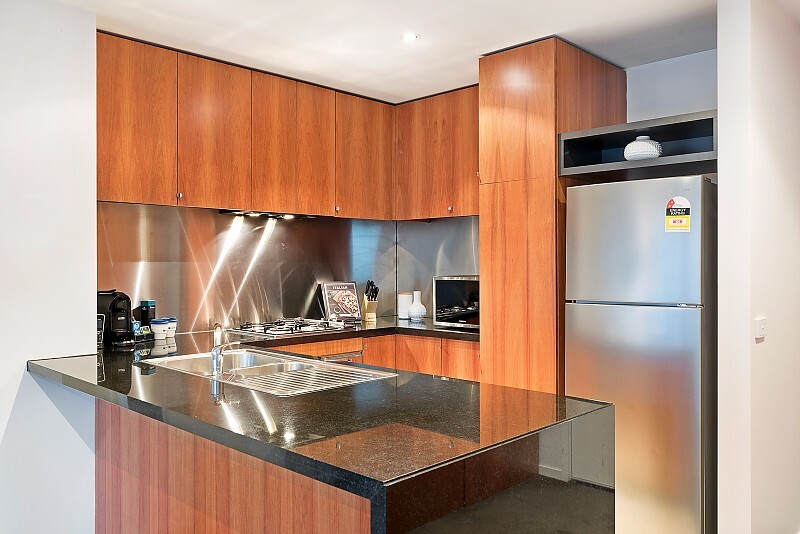 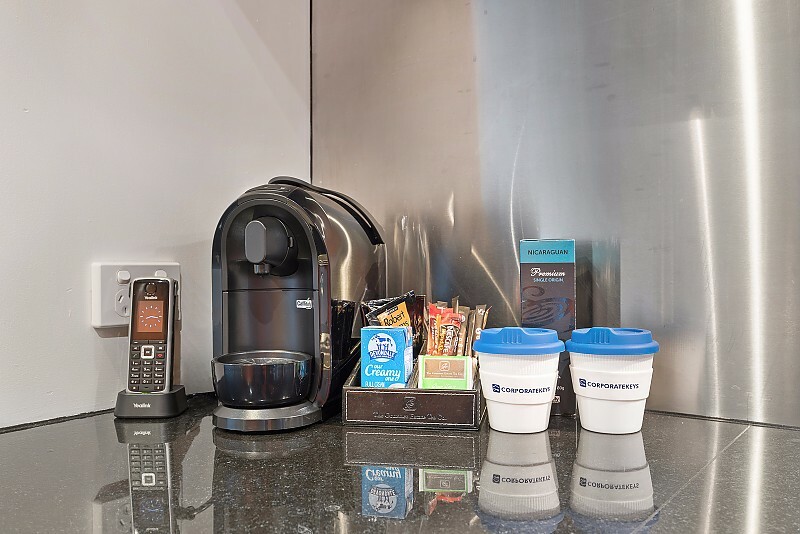 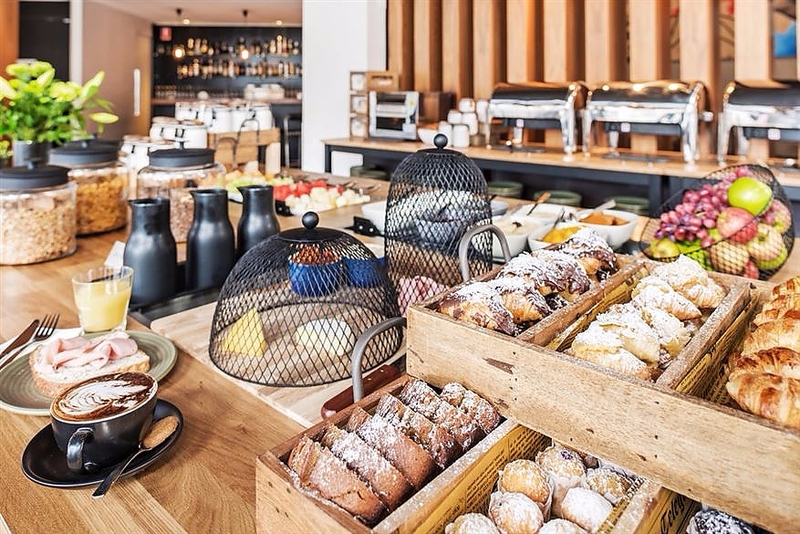 Enter past the stylish full-sized kitchen that features sleek black stone bench tops, a breakfast bar, large pantry, gas cooking, coffee machine, dishwasher and microwave, and into the fully-furnished living/dining room that opens onto a balcony with an outdoor setting. 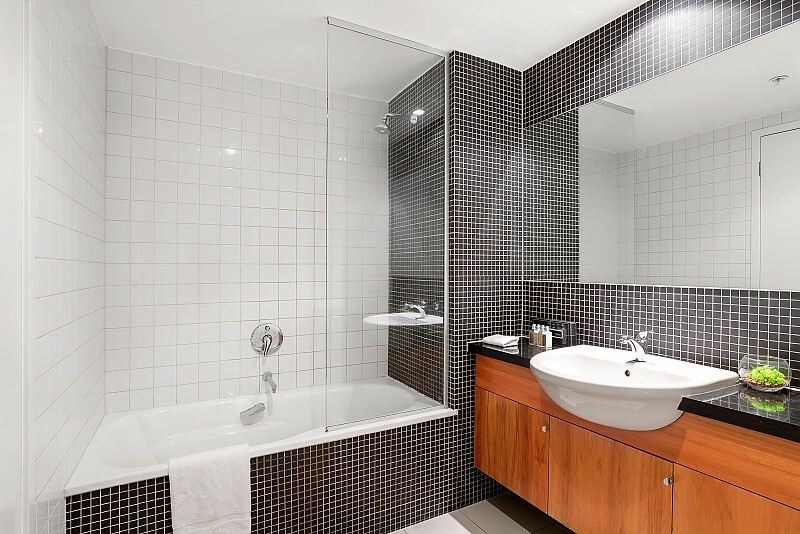 The bedroom also opens onto the main balcony and features a generous built-in robe; the bathroom in a modern monochrome theme presents a shower over bath and wall-hung timber vanity; and there is a washer and dryer in the separate internal laundry. 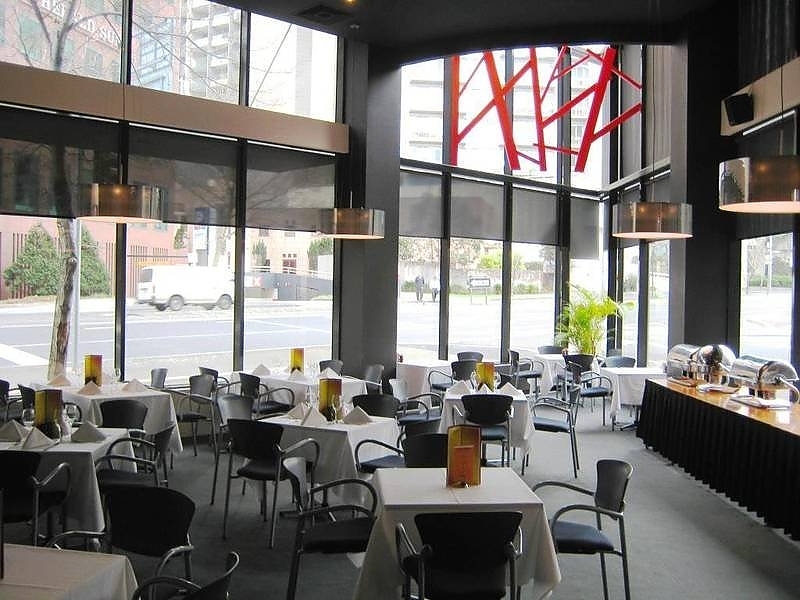 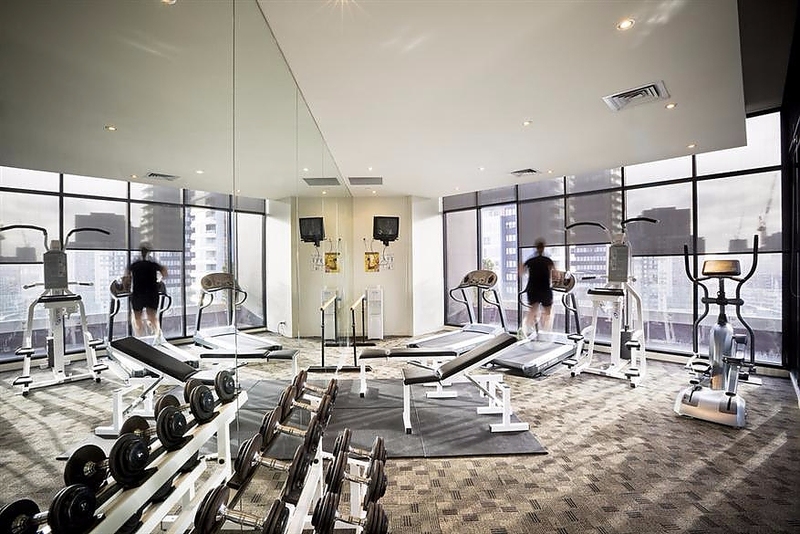 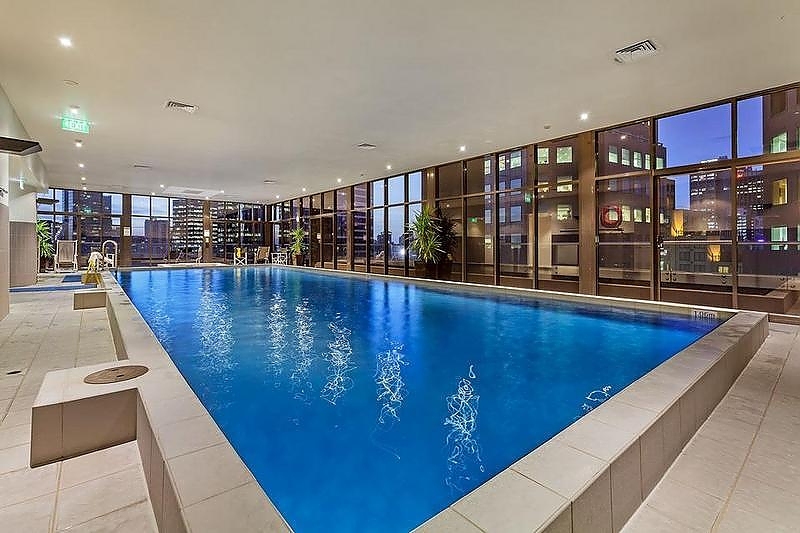 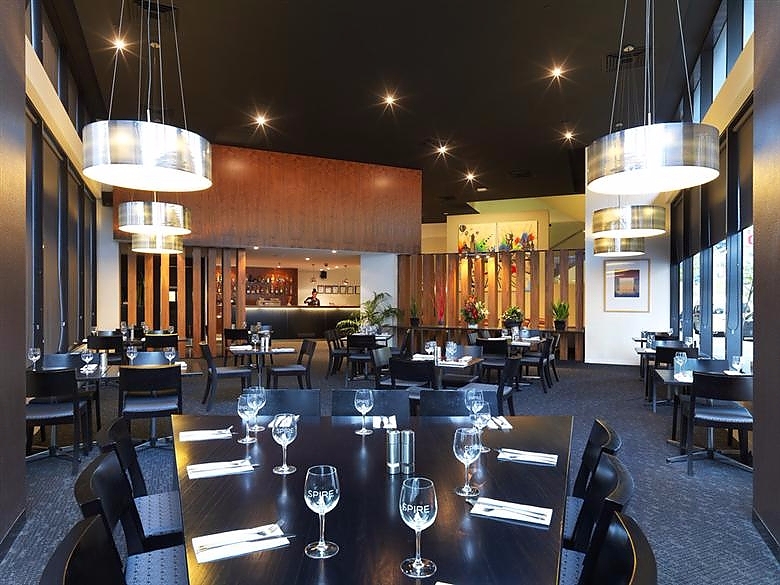 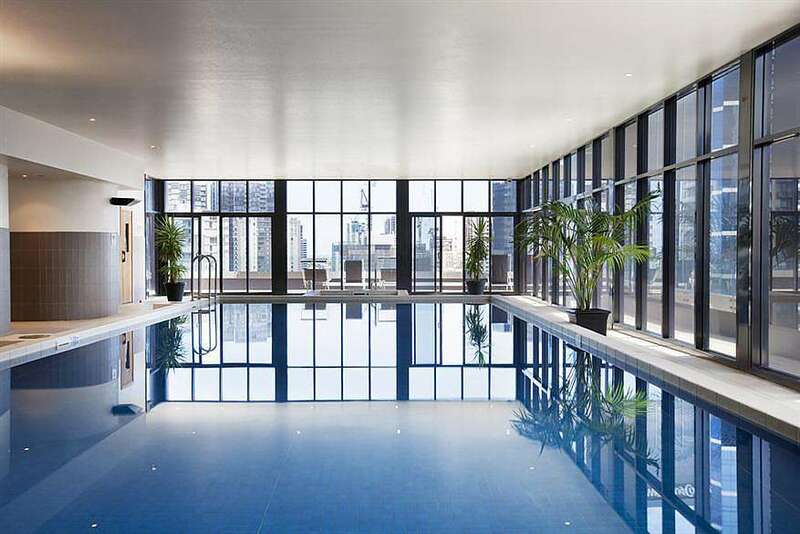 This popular Southbank complex also features an indoor pool and 24-hour security for your peace of mind.